(b) Email Addresses. Several locations of the Site permit you to enter your email address for purposes including but not limited to: to register for a free promotion letter; to request us to notify you when we receive a new brand, new product style; to sign up for our email. Your participation in a contest is completely voluntary, so you have a choice whether to participate and disclose information to us. We use this information to notify contest winners and to award prizes. 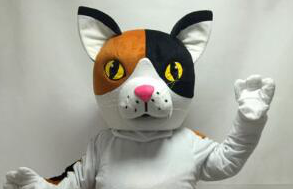 We may post on our Site the names and cities of contest winners.If you sign up for our email, you may receive mascotandcostumes email twice a week. You may stop future delivery of these emails by following the removal instructions located at the bottom of each commercial email. Opting out of any of these emails will not stop operational or transactional messages such as email confirmations of your orders, or customer service communications from the brand or line of business in question. Upon your request, we will (a) correct or update your personal information; (b) stop sending emails to your email address; and/or (c) disable your account to prevent any future purchases through that account. 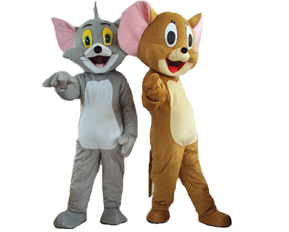 You can make these requests at the customer information section, or by telephoning, or emailing your request to mascotandcostumes.com Customer Support department via http://mascotandcostumes.com/contact.html. Please do not email your credit-card number or other sensitive information.